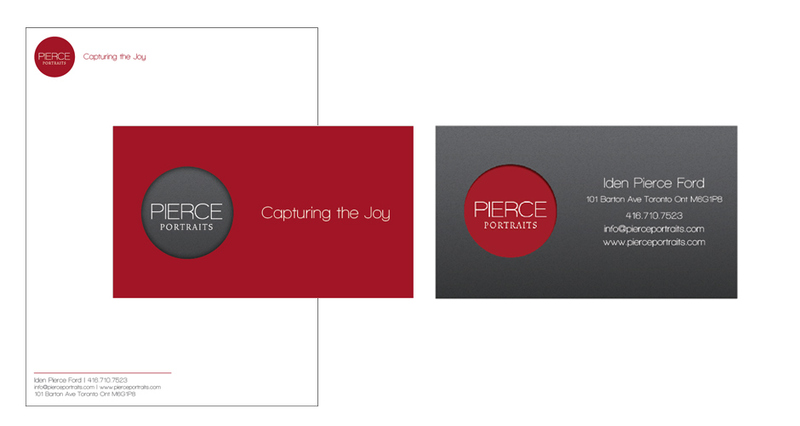 Pierce Portraits is the Portrait Photography of Iden Pierce Ford. Iden has photographed well known actors/actresses, politicians, musicians and dancers. Pierce Portraits was branded to focus purely on corporate portrait photography while maintaining a separate business entity for Iden’s more flexible portfolio in the film and theatre industry. We helped Iden create the logo and business cards for his new venture.